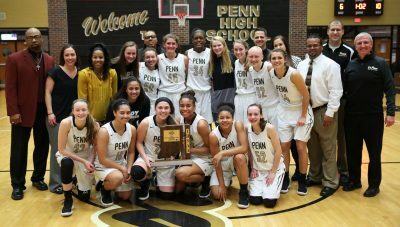 Penn High’s Kingsmen captured the Class 4-A Sectional 3 Championship in Girls Basketball with a 55-46 victory against South Bend St. Joseph on Friday, Feb. 3. 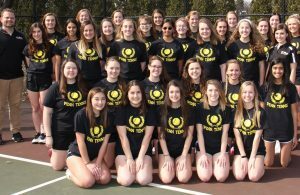 Coach Kristi Kaniewski Ulrich’s Kingsmen improved to 24-1 with the victory. Penn advances to the LaPorte Regional. The Kingsmen play Elkhart Central (17-8) at 1 p.m. in the Class 4-A LaPorte Regional. Penn beat Elkhart Central, 54-36, on Nov. 25. St. Joe’s season ends at 18-6. 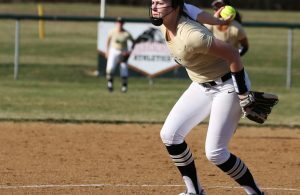 Penn’s game against St. Joe featured two programs that win State Championships the previous two years. 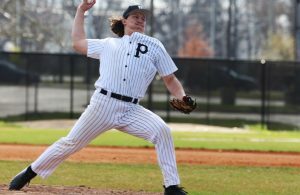 Penn won the Class 4-A State Crown in 2016, and St. Joe won the Class 3-A State Championship in 2017. In the Sectional Championship victory against St. Joe, Senior Sara Doi led Penn with 14 points, six rebounds and two assists. Senior Tia Chambers and Freshman Trinity Clinton scored nine points each. for 9 points. Reganne Pate helped the Kingsmen cause with two key 3-pointers.